My friend Michael who was present for the papal Mass on the feast of Saint Ignatius on July 31st and posted this recap video. It’s nicely done and it captures a beautiful sensitivity between the the Jesuit bishop of Rome and his brothers who live and work in Rome. 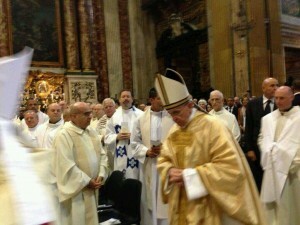 A blog post on the papal Mass can be read here. I posted His Holiness’ homily here so that you can pray with it. 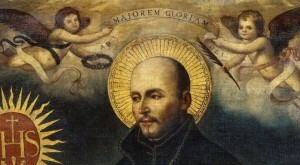 Saint Ignatius of Loyola pray for the Pope, the Church and all of us. 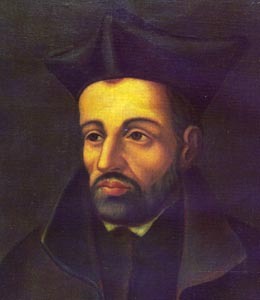 As the universal Church remembers Saint Ignatius of Loyola, founder of the Society of Jesus, the Jesuits in Rome the history’s first Jesuit pope offered Mass today at the Gesù, consecrated in 1584, known as the mother church of the Society. 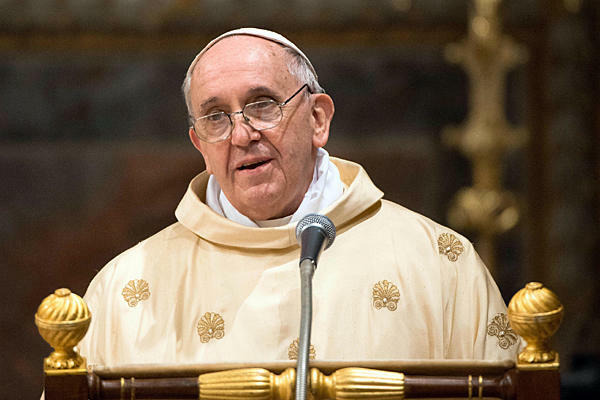 In his homily Pope Francis said, “We serve Christ and His Church…. [with] no parallel or isolated paths.” He’s true to Loyola’s heart and mind. About 270 Jesuits were present. At the conclusion of Mass, the Holy Father prayed at the tomb of the Servant of God Father Pedro Arrupe, Basque Jesuit and Superior General of the Society, 1965-83; he died in 1991. As my friend Michael Brelsford observed, “Its cool when, during the intercessions when the church prays for the pope, you can look up and see him standing no more than 15 yards away. Thank you one last seat left in the third row! After Mass he came around the side to pray at a tabernacle next to me. At one point, I think I was the closest to him in the room!” Michael is entering the least Society in August; he’s been in Rome on pilgrimage. Jesuit Father Norman Tanner and Veronica Scarisbrick of Vatican Radio spoke today about the Jesuit vocation. The conversation is here. The photo is courtesy of Antonio Spadaro, SJ.